Last month, headlines around the world screamed that the Episcopal Church in the United States had been suspended from the Anglican Communion because of its stance on same-gender marriage. To read those headlines, and the stories that ran below them, you would think that Episcopal Church was in dire trouble and had been sent to a three-year time-out for extreme misbehavior. It took several days before all the rumors were squashed and the truth instead declared: The Primates of the Anglican Communion (the senior bishops in each church province) are not pleased that the Episcopal Church has approved same-gender marriages and want the Episcopal Church to refrain from participating in some of the discussions that take place worldwide. Apparently, the primates seem to think that asking the Episcopal Church to sit on the sidelines for three years will cause the Episcopal Church to change its mind on how to treat people with love. First, the Primates who gathered do not have the authority to even make this request, because the Anglican Communion doesn’t work like that. And second, but much more important, know this: The Episcopal Church is alive and well, and will continue to carry out its mission and ministry in the world, regardless of what anyone says. Let’s be honest: This is a complicated story, because the Anglican Communion is a complicated organization. It is not governed by a set of church laws, and each province is independently formed and run. It is a relationship-based network of churches. For those of us inside the Church, we could spend hours, days, months, years, discussing what happened in England in January (and trust me, we will). But trying to parse out what happened, and worrying about what might happen, is to miss the whole point of the Gospel of Jesus Christ, which is to love. Pure and simple, the Church is called to spread the love of God in the world. And that is what the Episcopal Church continues to do, regardless of what anyone anywhere says. This whole debate comes down to the fact that we – meaning, all the members of the Anglican Communion – interpret the Gospels differently. In the Episcopal Church, we formally have made the decision to declare, by word and deed, that “all means all,” that God’s love is not restricted by color, by gender, by sexual orientation or identity, by language, by ethnicity, or by any other thing that humans use to distinguish themselves. Because in the Episcopal Church, we are firm in our belief that all of us are beloved children of God, and all will be treated with the same love. That’s it. That’s our baseline. You are a beloved child of God. And you. And you. Every single one of you. All of us are beloved children of God. God loves all of you. And each of you. And since that is our baseline, our truth, that is what we as Episcopalians are going to do. We are going to love you. We are going to do our best to take care of you. To treat you with dignity. To welcome you in our churches. To encourage you to be leaders in our churches, and in our Church. To stand up for you when you need someone to have your back. To do our best to right the wrongs of this world. To bring you food when you are hungry, and give you water when you are thirsty, and visit you when you are in prison, and pray for you when you are ill.
To celebrate who you are, and how God made you. To shout from the mountaintops that God’s love is more than enough to right the wrongs of the world, and then to act on that love. Brass tacks: The leaders of the Anglican Communion are in disagreement with each other and with the Episcopal Church as to how we are going to love God and love one another as ourselves, how we are going to love one another as Jesus loves us. But this disagreement will not, in any way, stop the Episcopal Church as a whole, and Episcopalians individually, from living into our Baptismal Covenant. Because no one and nothing can ever stop God’s love from being proclaimed and lived. This column was written for InsideSources.com. For an alternative viewpoint, go to Counterpoint: Curing American Myopia. Our brothers and sisters in Christ in Haiti still need our help. Rebuilding a devastated country – one devastated by political shenanigans and hurricanes long before the 2010 earthquake struck – takes time, prayer and the will to continue despite the long odds. Please, continue to pray for Haiti: Almighty God and heavenly Father, in whom we live and move and have our being, send your Holy Spirit upon the people of Haiti, that they may know your love, feel your support, revel in your joy. Send your Spirit upon all those who continue to work in Haiti, rebuilding the lives of its people, so that they may be faithful servants who listen without dictating, who work in community and not as solo artists, who care first and foremost for your beloved children, and not for their own glory. Bring health to the people of Haiti, who put all their trust in you. In Jesus’ name we pray. Amen. Holy Trinity Cathedral, three weeks after the earthquake. 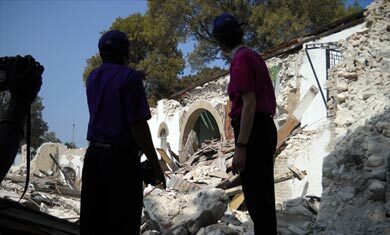 [October 2, 2012] With the third anniversary of the devastating earthquake which destroyed Haiti mere months away, the Episcopal Church continues its emphasis on assisting the church’s largest and fastest-growing diocese. The January 12, 2010 earthquake destroyed much of the Caribbean island country and cost many lives. 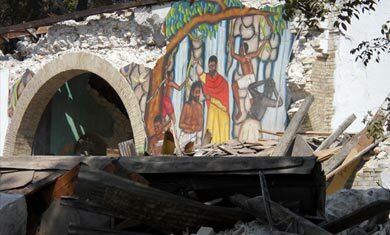 Leveled were churches and diocesan facilities, including Holy Trinity Cathedral with its priceless murals in the capital city of Port-au-Prince. General Convention 2012 named the focused effort for the Diocese of Haiti as one of the priorities for the Church. The newly reorganized Development Office of the Episcopal Church is coordinating all the fundraising efforts for the rebuilding of the Diocese of Haiti. This follows the conclusion of the first phase of the project by Episcopal Church Foundation. Bishop Duracin with President Bishop Katharine Jefferts Schori, three weeks after the earthquake. To that end, an Episcopal Church team soon will visit Haiti to engage with diocesan leaders and officials. “This mission trip will include a thorough assessment and fact-finding to determine what steps will be taken in the short- and long-term for this all-encompassing project,” Bishop Sauls said. Currently, Bishop Sauls and his staff are working diligently on a final agreement with an architect for the cathedral complex. He is also planning to lead a pilgrimage to Haiti in early 2013. And, as another facet of the Church’s work with Haiti, the Church Center is now the home in a rental agreement with Le Consulat General de la Republique d’Haiti and the Haitian Permanent Mission to the United Nations. We’re not following; we’re LEADING! For the past 10 days, I’ve been reading articles in The Wall Street Journal and The New York Times wherein authors have pontificated about the future of The Episcopal Church. More accurately, these writers are predicting the ultimate demise of the Church. Oh, because we do what the Gospel tells us to do. At General Convention 2012, the Church backed up what it has been saying by overtly stating that transgendered persons are not only welcome, they can be leaders in the Church at every level. Those two actions alone seem to have set off the warnings of our imminent demise. First, Jay Akasie, a journalist and Episcopalian living in New York, lambasted the Church, making wildly inaccurate claims that showed he actually didn’t spend any time learning what was going on at General Convention. His column, coming the day after Convention ended, was bad enough. But since most of it was not true, what was there to worry about, right? To which I reply: Really? The Episcopal Church day by day moves ever closer to living out the Gospel it proclaims, and this is going to kill us? I don’t know why Messrs. Akasie and Douthat are so afraid to have the Gospel lived out. I don’t know why they think that actually doing what Jesus told us to do is so … wrong for … so … lethal to the future of Christianity. Me? I think that the more we as a Church throw open the doors, the more we take our faith out into the world, the more we live the faith as Jesus taught us, by word and deed, the stronger the Church will be and, more important, the better the world will be. Perhaps all those who fear a “liberal” agenda in the Church should spend some time listening to the Most Rev. Desmond Tutu, the retired archbishop of South Africa and Nobel Peace Prize Laureate. The Gospel the Archbishop preaches is God’s Gospel. You know, the one about the wild, radical, unequivocal, all-embracing, never-ending love that God extends to every one of us. In his most recent column (here), Mr. Douthat wonders whether liberal Christianity is actually the future of the Church. I certainly pray that The Episcopal Church, my Episcopal Church, lives up to this wild, radical, unequivocal, all-embracing, never-ending love that we proclaim. Because that’s a Church to which I want to belong. Naysayers may proclaim that all we’re doing is following society. But I’m pretty sure they’re wrong, that what we’re really doing is following the Risen Lord. Archbishop Desmond Tutu, as quoted in God’s Mission in the World: An Ecumenical Christian Study Guide on Global Poverty and the Millennium Development Goals, published by The Episcopal Church Office of Government Relations and the Evangelical Lutheran Church in America, 2006. Tis the season for graduations, including those at seminaries across the United States. Within a matter of a few short weeks, Christian churches will be flooded with hundreds of new graduates, most newly ordained, to serve as ministers. It should be a time of great celebration … unless, of course, you read Jerry Bowyer on Forbes.com. According to Mr. Bowyer, all these graduations, all these newly ordained clergy, are not a matter of rejoicing but of sorrow. Mr. Bowyer claims, in columns published on April 20 and May 11, that seminary is, basically, a waste of time. Clergy are not trained properly in seminary, he says. Among the claims he makes (some of which I and many others found astounding) is that learning about such topics as Church History and Theology does nothing to prepare a person for leading a congregation. Why, just the other day, I had to call upon Church History, Litugrics and Theology to talk with a congregation about why they might want to consider moving their altar away from the wall, and having the priest actually face the congregation. We talked about why the altar was up against the wall in the first place, about the importance of including the people in the celebration, the fact that Jesus never celebrated a “Eucharist” as we know it, and that at the Last Supper, he sat (actually, he most likely reclined) around a table, passing the bread and cup around. What does that mean to you theologically? I asked the people. That same day, I drew upon my theological training to talk about why a congregation might want to consider changing its building plans, making handicapped access the priority, and leaving a new office to a latter date. How hospitable is it, I wondered, to make handicapped people wait years more to get into this church, just so a new office could be added? If you were in a wheelchair, would you like to be told you have to go to the back door to get in? What message are you trying to send? I use my education in pastoral and systematic theology nearly every day of my life, when I am working, when I am with family and friends, and even when I am alone. I use my studies of Scriptures for my preaching, my teaching, my pastoral care and my personal spiritual time. My education in Christian Ethics informs almost every decision I make. Christian Education classes taught me about working with children and youth, and helped me learn how to preach and teach at all levels. In other words, I use my seminary education every day of my life. Yet Mr. Bowyer claims that I could have learned all of it on-line, and that that would have been sufficient. Yes, seminary does take three years. Yes, it is a graduate-level institution in many churches (but not all). Yes, there is a lot to learn. You see, most of us who go to seminary do not have the prerequisites all taken care of. 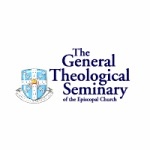 Some graduate programs require prerequisites; most seminaries do not. And there is another reason for three years of schooling: formation. 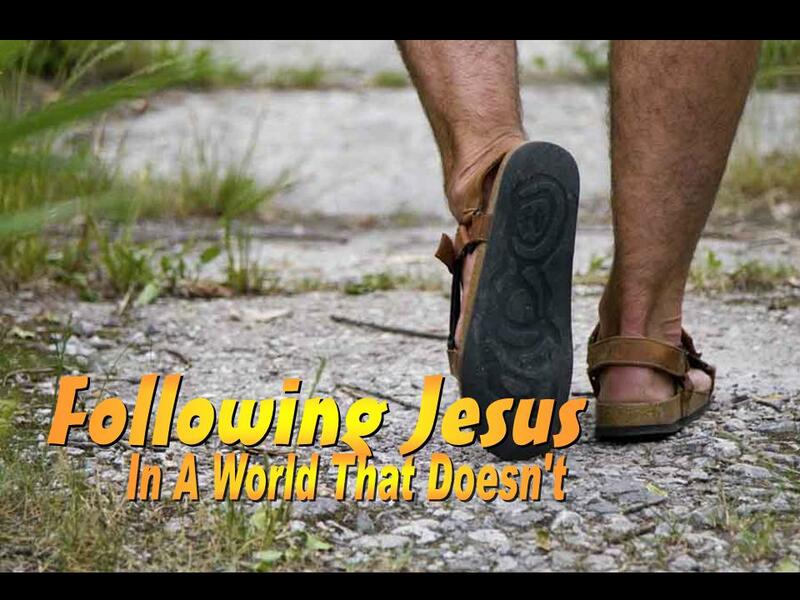 Asking a person to go from being who they have been to being an ordained person, living a life under vows, is not something that should be taken lightly. And many of us needed that time to leave behind those portions of our old lives so that we could be the person God is calling us to be now. 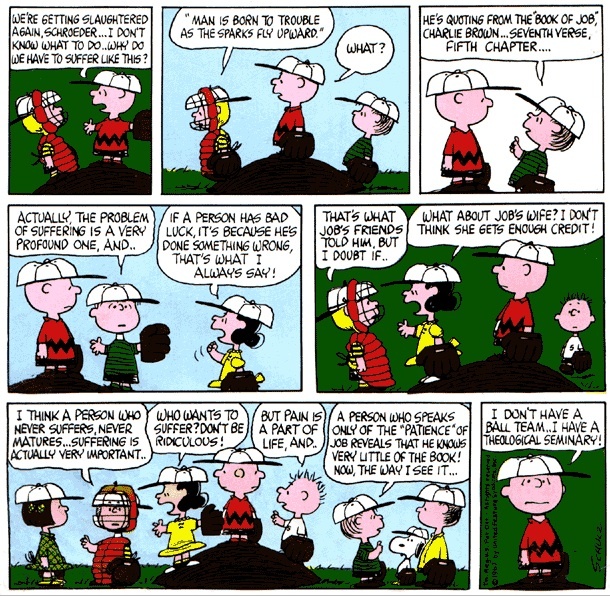 Mr. Bowyer also tells one tale – one tale! – of a man who somehow made it through both Bible College and seminary without, apparently, ever having preached in public … anywhere. After ordination, this person found he could not preach. He simply could … not … preach. His life went to hell in a hand basket, Mr. Bowyer says. This man went through an accredited seminary and somehow, he never once was asked, or even forced, to preach? And because of this one man’s experience, Mr. Bowyer believes that seminaries as a whole don’t do their jobs? I took a fully year of homiletics in seminary. I preached at my field education parishes throughout the year, and at my summer internship. I preached in classes. I even was blessed to preach, one time, as a senior, in my seminary’s chapel. Was I nervous? Good Lord, yes! Sixteen years later, with literally hundreds of sermons under my belt, I still get nervous. I get so nervous I get dry-mouthed, and have to tuck an Altoid in my mouth before I can preach. Nerves are part of the job: After all, we preachers are attempting to say something intelligent about the Word of God! If that doesn’t make you nervous, I’m not certain what will. (Actually, if it doesn’t make you nervous, there might be an ego issue running here.) I didn’t have to wait until graduation and ordination to find out whether I was suited to the pulpit or not. Mr. Bowyer also claims that many mainline denominations, including The Episcopal Church, over the years have followed “leftie fads” and are guilty of “indulging in ideological tourism.” Apparently, going to seminary means you become some kind of radical leftie, according to his columns. I don’t know what I’m supposed to think about this, but his comments rather remind me of those made by others who like to throw stones at churches that engage in social justice issues. The only point on which Mr. Bowyer and I agree is the cost of the seminary education. It’s high – too high, in many cases. And far too many students leave seminary with huge amounts of debt, then are hired for jobs that pay well below any national average for holders of graduate degrees. Me? I never incurred debt in seminary. Of course, I received dozens of scholarships and grants, because I worked very hard to get even the smallest gifts (you want to give me a $50 scholarship in exchange for me filling out some forms and writing an essay, I’m on it!). I also worked up to three jobs at a time – because I didn’t want any debt. I cobbled together the money any way I could, and still managed to graduate in three years. So it’s not as though graduating from seminary without debt is impossible. It’s simply very, very hard. Mr. Bowyer claims that technology is the solution, that we can find almost all of the courses on-line, and that what can’t be taught on-line can be taught through apprenticeships to experienced ministers. I can point out many problems, including the potential for abuse, with that system, too. Do our seminaries need to change, to adapt to new realities? Absolutely. Many seminaries over the years indeed have changed, and they continue to adapt. More part-timers are attending seminary now. Courses have been added, and others dropped, to reflect the new realities of our world. Any seminary that won’t change and adapt needs to re-examine its mission statement, and look again at the church for which it is preparing its graduates. And do we need to do something about the cost of seminaries? Without a doubt. Ministers in general do not get paid a whole lot of money. Having enormous debt coming out of seminary limits their choices. But trashing the whole system and claiming that what is taught in seminaries in not necessary, not good for the greater Church? Mr. Bowyer might want to think again before he applies such sweeping generalities, because in this case, he’s missed the mark. The Rev. Lauren R. Stanley is a priest of the Episcopal Diocese of Virginia, and a proud graduate of Virginia Theological Seminary, Class of 1997. This column ran on 19 May 2011 on EpiscopalCafe.com. The Episcopal Church Office of Public Affairs reports that following the meeting of the Episcopal Church House of Bishops March 25 – 30, two letters were issued: a letter from Presiding Bishop Katharine Jefferts Schori to the Church; and a letter from the House of Bishops to the Israeli ambassadors to the nations where the Episcopal Church has dioceses or presence. The letters call for resolution of the denial of “Temporary Residency Status” for The Rt. Rev. Suheil Dawani, Anglican Bishop of the Episcopal Diocese of Jerusalem. At our meeting in Kanuga, North Carolina, 25-30 March 2011, we considered the plight of our fellow Christians in the land of the Holy One. Bishop Suheil Dawani, of the Diocese of Jerusalem, has for many months been gravely limited in his ability to function as leader of that diocese. We urge your reflection on the following letter, and your response as you deem most appropriate. Change is likeliest when the leaders of our governments know of our urgent concern. In every part of The Episcopal Church, your response is most likely to be effective when directed to Israel’s ambassador to your nation, to your national leader – President and/or Prime Minister, and/or to your legislative representatives in your national government. In the dioceses of The Episcopal Church beyond the United States, we urge you to work with your diocesan bishop if you are uncertain about how to contact the Israeli Ambassador, your President or Prime Minister, and your legislators. It is with deep concern that we inform you that the Anglican Bishop of the Episcopal Diocese of Jerusalem, the Rt. Rev. Suheil Dawani, has been denied renewal of his “Temporary Residency Status” in Jerusalem. This action was taken when the A-5 permits held by the bishop, his wife, and youngest daughter were revoked by the Government of Israel, effective 24 September 2010. The Government of Israel claims that the permits were denied because of an accusation by the Ministry of the Interior that Bishop Suheil acted with the Palestinian Authority in transferring land owned by Jewish people to the Palestinians, and also helped to register lands of Jewish people in the name of the Church. There were further allegations that documents were forged by the bishop. Bishop Dawani has vehemently denied these allegations and responded formally to the Ministry of the Interior. He has never received a response. The bishop also sent a letter challenging the allegations and demanding that any evidence to secure the claim against him be made known to him. To date no information has been forthcoming. The Archbishop of Canterbury received assurances that the situation would be resolved promptly. Other Anglican leaders including Presiding Bishop Katharine Jefferts Schori, the Episcopal Bishop of Washington D.C. (the Rt. Rev. John B. Chane), and the Primates of the Anglican Communion, representing Anglicans throughout the world, have all used their influence individually and collectively with Israeli authorities, without success to date. Diplomatic efforts through the British Foreign Secretary, the British Ambassador to Israel, the British Consul General in Jerusalem, the State Department of the United States, and the American Consul General in Jerusalem, and Christian and Jewish leaders in Jerusalem have all provided support for Bishop Dawani in his ongoing contact with Israeli authorities, but without tangible results. In terms of discovering the source of the allegations against the bishop, or the restoration of the residency rights which are crucial to his ability to provide leadership of his diocese, and residency in Jerusalem for himself and his family, the Israeli Government has failed to respond. Because of the current situation the bishop is unable to conduct any legal business on behalf of the diocese, and is crippled in his ability to run the day to day affairs of his diocese, which comprises schools, churches, and hospitals in Israel, the West Bank and occupied territories, Gaza, Jordan, Syria, and Lebanon. We seek your assistance in resolving this situation as rapidly and completely as possible. The ability of our brother, Bishop Dawani, to lead his diocese is severely compromised. We ask your urgent attention to this matter.